Management, control and removal of solids within waste streams is essential to the efficient operation of wastewater treatment systems and the protection of high risk pumping stations where there are significant consequences for failure. 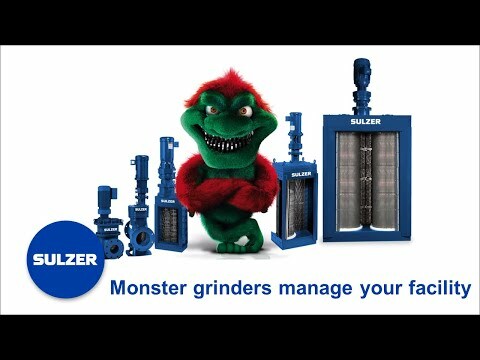 Sulzer’s product portfolio includes a full range of Muffin Monster™ dual-shafted sewage grinders for solids reduction as well as screening, dissolved air flotation and auger systems for solids separation and removal. JWC Environmental, a Sulzer brand, offers waste shredders and screening systems, designed to solve solids waste reduction. 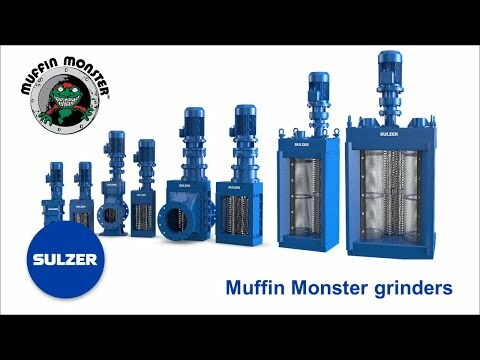 Our product portfolio comprises more than 200 different types of Muffin Monster™ products, the world’s first dual-shafted sewage grinder, as well as advanced sewage treatment equipment, dissolved air flotation, auger systems, sludge dewatering, thickeners and grease separation systems. Sulzer acquired JWC Environmental in January 2018 and it is part of the Pumps Equipment division (read the related media release). Please find further information on solids reductions, separation and removal systems on the JWC Environmental website. Learn how the powerful 30K Muffin Monster™ greatly reduces material clogging and downtime at a biogas facility in Catalonia, Spain. Two Channel Monster™ sewage grinders installed at the Mosside Sewage Pump Station in Scotland protect pumps and free up valuable operator time. Discover how the CDD Channel Monster™ helps the Moygashel wastewater treatment facility in Northern Ireland to protect their fine band screens and screenings compactors. Villa Mountain Vista North in Las Vegas installed a 30K Muffin Monster® to get rid of clogging in their onsite lift station. Port-a-Loo, New Zealand’s largest septage hauler, invested in a 40K Muffin Monster® to eliminate frequent clogging of wastewater pumps at the disposal site. 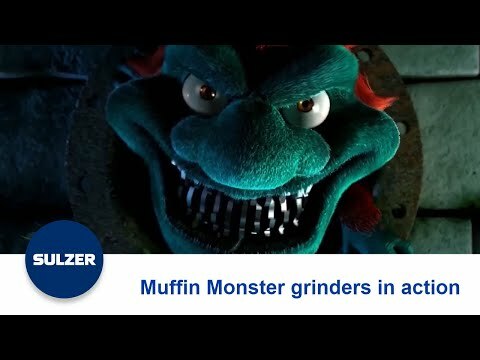 Learn how the 10K Muffin Monsters™ help Schertz water reclamation plant in Texas, USA, grind the toughest solids more reliably with less energy.